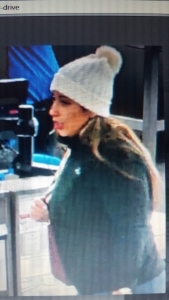 The victim had taken a walk on the trail when someone entered her vehicle in the parking lot of the Grindstone Nature Area and took her credit cards. They wasted no time in racking up thousands of dollars in fraudulent charges. 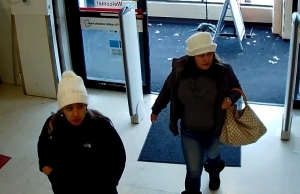 Video turned over to CPD shows these two women as possible suspects. 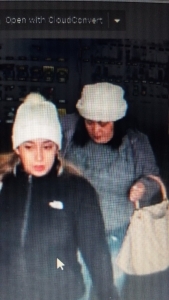 If you have any information on their identities, contact CrimeStoppers.